I need to make a special gift for a dear friend. Sewing hexagon by hand seems the best way to put all my feelings into this mug rug. 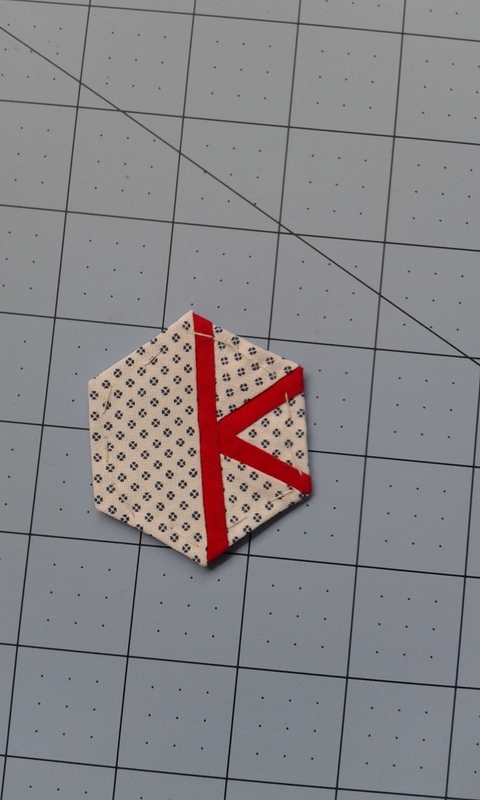 Making a mug rug for a man has to be more personalized and I decided to build a letter inside. I have chosen different prints in blue and began cutting and sewing. 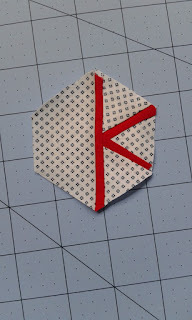 At the beginning I paper piece the first letter of his name. I have designed the whole alphabet. If interested visit here. 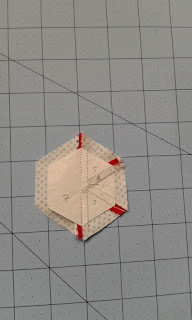 The paper hexagon is the same size as all the hexies in the project - see the back side. 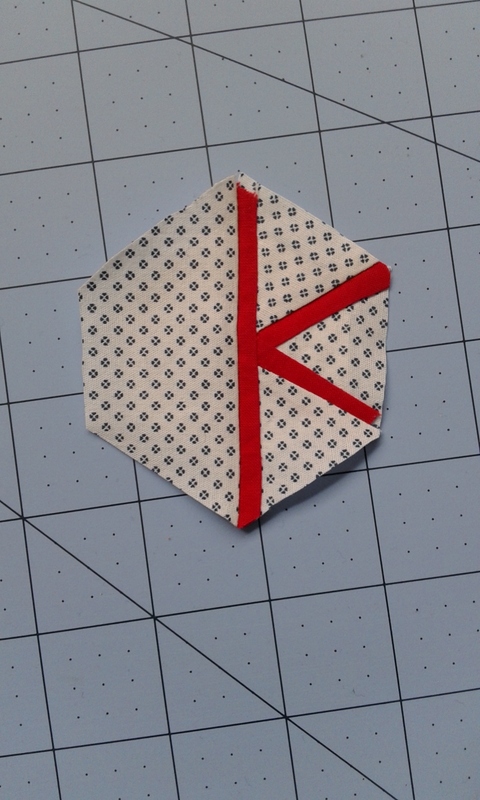 I used the paper as a template for EPP. 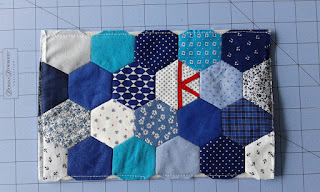 Then prepare all other hexies (I use running stitch), order them on table and stitch them by hand as usual. 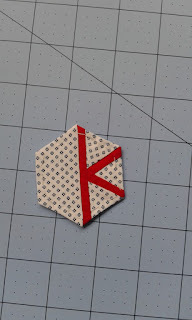 You can use this tutorial for hexagons paper templates or simply download for FREE and cut as many as you need. 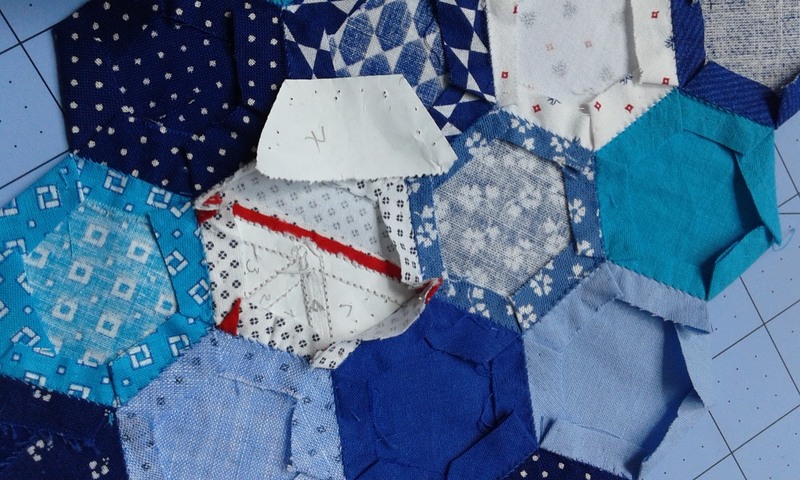 Carefully remove the paper especially when tear it from hexie with letter. This is the top of the mug rug. 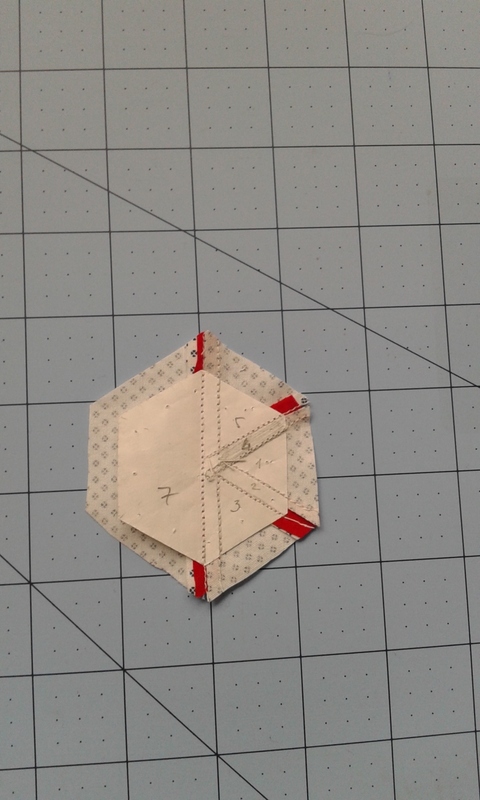 Add batting and backing, quilt as you desire and make a binding.